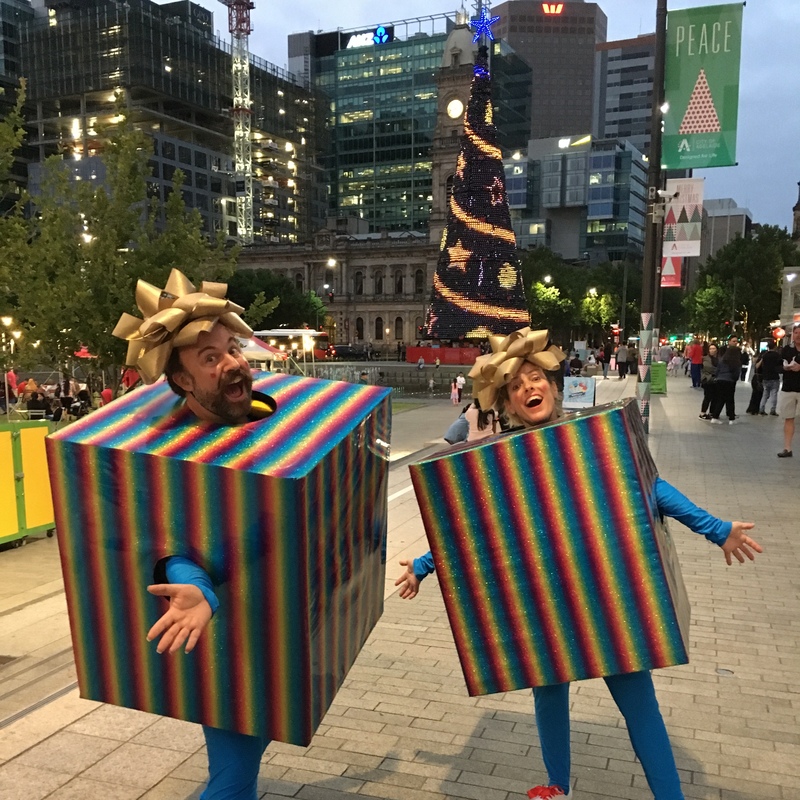 This Christmas Bamboozled Production joined City of Adelaide in Victoria Square / Tarntanyangga to create a new festive playground for the school holidays. Nine days of free family fun and the best spot to see the Christmas Tree lights. With Bamboozled Street Theatre shows and roving Christmas performers, and a huge line up of musicians at our free live music stage. There was also a life-sized Santa Sleigh and Rudolph the Reindeer display made with over 130,000 LEGO® bricks, Augmented Reality Snowball fights, food-trucks, movie-nights, face painting and more. We can’t wait for next time!